Considering New Packaging Equipment? Get Hands-on Experience! When we make important purchases – including packaging equipment – we like to know what we’re buying. We try on clothing, we take tours of homes, we test drive new cars: “try before you buy” is essential to making an informed purchasing decision. 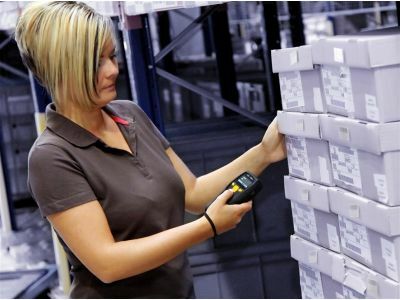 At Technical Packaging Systems, we pride ourselves on educating our customers, arming them with all of the information that they need to make purchases that will affect their operation for years to come. In today’s post, we’re going to take a closer look at some of the equipment that we offer. When it comes to production lines, efficient case forming is crucial. No matter how fast you can manufacture a product, it means nothing if you can’t pack, secure, and ship it in a timely manner. Carrying a wide range of Wexxar case forming equipment, Technical Packaging Systems is the go-to source for manufacturers who are looking to keep their lines moving. Offering a full line of Anritsu machines, from X-ray detection to checkweighing, Technical Packaging Systems is the leading provider of high-quality inspection equipment. If you’ve been searching for a more efficient, more thorough way to inspect your products, you absolutely cannot go wrong with Anritsu. When it comes to tray forming, IPak is king. The company offers a wide range of packaging equipment, including machines that specialize in forming 4-corner trays. Easy to use, IPak’s equipment has become an industry standard for many in the pharmaceutical, beverage, and processed food industries. At Technical Packaging Systems, our goal is to help our customers keep their production lines moving. We understand the importance of fast, effective packaging: we’ve built our business around it. If you’ve been searching for a supplier of high-quality packaging equipment that will work with you to address your line’s challenges, contact us today to discuss how we can help.